Boston's You Shriek appeared on my radar last year: their music instantly made a strong and positive impact on me and I've followed the band ever since. So I am very excited to introduce you to their third full-length studio album, Somewhere Between (Heaven & Sorrow). 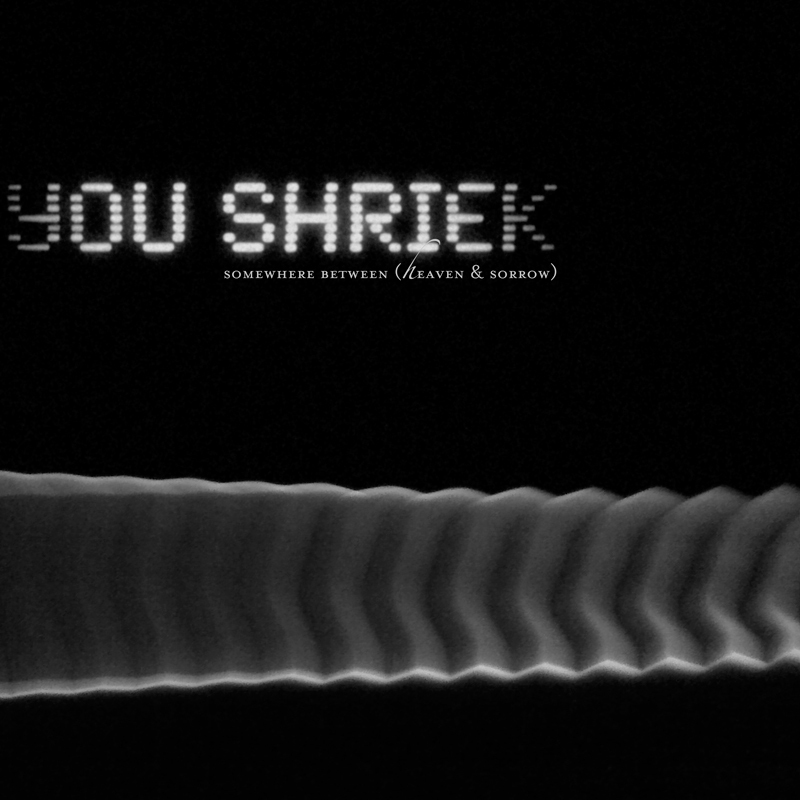 You Shriek was founded in 1990 by singer Raziel Panic, who says he is influenced by music from the New Romantic, Goth and Industrial genres. "My life in music took some agonising turns in the past three years," says Raziel. "I needed to shelve the songs I was working on and go back to re-live another era, to resolve these unfinished ideas and make them modern." While it would be simplistic to say the band has an '80s sound, their choice of instrumentation and samples points to a predilection for darkwave and electronic music from that era. When I listen to You Shriek, I am reminded of bands such as Japan, The Cure, Echo and the Bunnymen, Kraftwerk and The Alan Parsons Project. Somewhere Between (Heaven & Sorrow)'s tracks would not be out of place on the soundtrack for a futuristic, noir thriller such as Bladerunner, or a bleak yet romantic film such as The Crow. I could listen to this album on repeat for days on end...and I have. Here are some of my favourite tracks and why I love them so much. The rhythmic quality to third track, Daggers, is mesmerising and the lyrics are moody and poetic. My favourite song from the album, fourth track No Heroes, literally makes my skin shiver with excitement (covered in goosebumps as I type this). Reminiscent of Burn by The Cure, the guitar effects create a vaporous, time-lapse world in which the jaws of darkness are an alluring aphrodisiac. Fifth track, Lilith in Libra, has an uncomplicated and yet hypnotic melody enhanced by dynamic rhythmic accents and a catchy guitar riff. Track seven, Ever and Anon, captured my attention through its compelling bass line and dancefloor-friendly grooves; this song reminds me of Duran Duran's Planet Earth, which is a compliment considering I've been a 'Duranie' since 1981! Final track, She Does Not Go To Parties Anymore, is a luscious, sensual song which weaves a celestial web around Raziel's bewitching vocals. The accompanying vinyl 12" EP, Music From The Ceasium Fallout Series, will contain exclusive extended and remastered live, instrumental recordings originally featured in a trilogy of the Spies on Zero Zero Island video podcast episodes. I highly recommend this album and, if I were to mark it, I think I'd give this one 10/10. It's such an intelligently considered and quality piece of work that I feel not one part of the album was not the best the band could do. I love it, and I hope you do too. 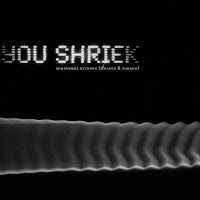 If you would like to find out more or buy the album, visit the You Shriek website.